CYCLE ▶ CULTURE: Taking a LONG Weekend. Just a heads up that we're taking a LONG weekend for Thanksgiving. You can find us riding, avoiding distant relatives, and over eating. 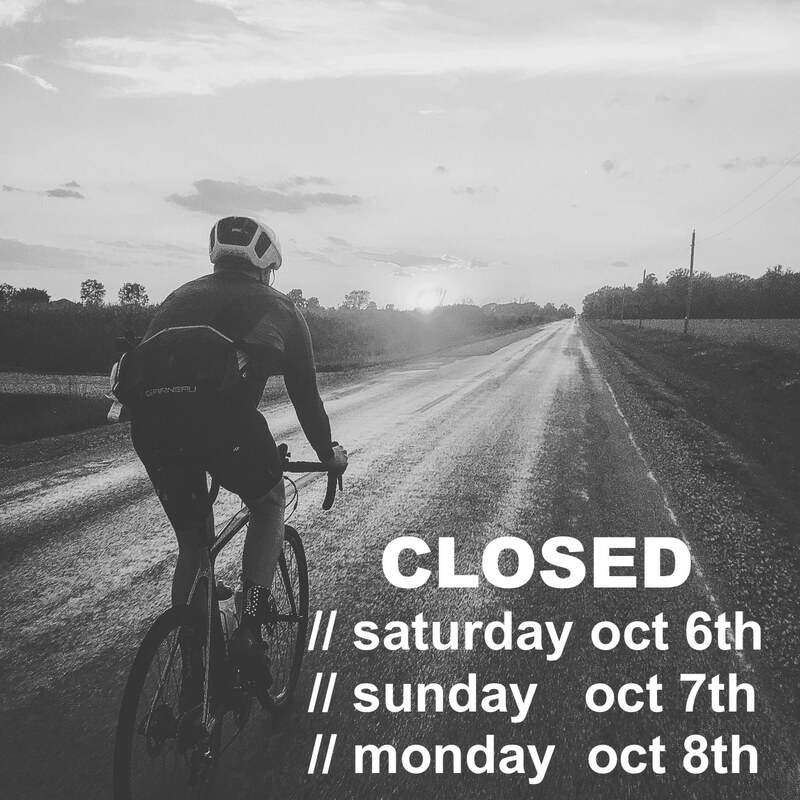 We'll be at the shop regular hours Friday and then back at it on Tuesday, October 9th. Thankful to be able to #pushplayoutside. Have a great one!